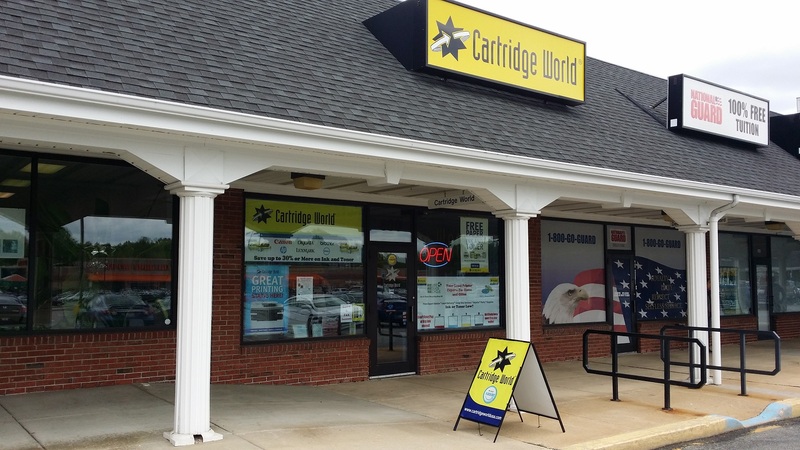 MORE ABOUT Cartridge World Of Delaware: Cartridge World of Delaware is a franchise locally owned and operated by Bob Nicholson of New Castle, Delaware. We're a family operated business with a mission to provide our customers with a cost-effective, environmentally friendly alternative to continually purchasing new printer cartridges. We are committed to delivering high performance products that are of the highest quality while providing great personal customer service to go with them. Cartridge World of Delaware offers 100% guaranteed replacement ink and toner cartridges for all major brands of printers, copiers, fax and postage machines. We carry a full line of black and color ink and toner cartridges along with replacement drums and maintenance kits for all your printing needs. With savings of 30% or more on ink and toner cartridges, we also offer printer repair service, free trouble shooting support, printing, copying, fax services and office supplies for your convenience. Give us a call or stop buy so we can help you or your business start saving today!